Winter’s here, but that doesn’t mean you have to hang up your hiking boots. Grab some warm clothing and try one of these amazing hikes where you’ll enjoy breathtaking scenery and likely have the trail all to yourself. Whether hiking, snowshoeing, or cross-country skiing, hitting the trail during the winter is as rewarding as any other time of year. If you’re one of those hikers or backpackers who puts away your outdoor gear for the winter, you really are missing out on one of the most rewarding seasons of the entire year. Hiking during the colder months can be an amazing experience, as a fresh layer of snow can give even the most familiar landscapes a complete makeover. 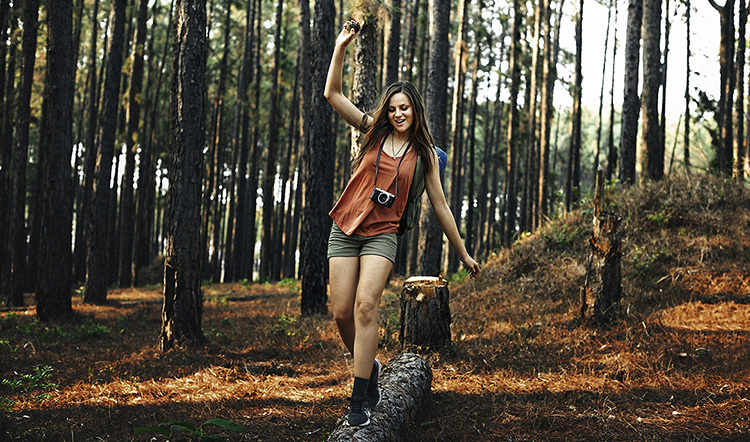 And as if that isn’t enough, you’re also more likely to have the trail completely to yourself, bringing a sense of peace and solitude to your hike that is difficult to find during the summer. Of course, winter can bring its own set of challenges. Cold temperatures require not only a good sense of adventure, but plenty of warm clothing to keep you comfortable. On top of that, when you add in a bit of wind and snow, a hike that is typically an easy walk in the woods can become something else entirely. That said, there is nothing like exploring the backcountry in the winter to remind us why we love the outdoors. So, if you’re looking for a great winter hike to add to your bucket list this year, throw on some warm layers, lace up your boots, pull out your snowshoes, and head for the trail. These are our picks for five great routes that you should hike this winter. 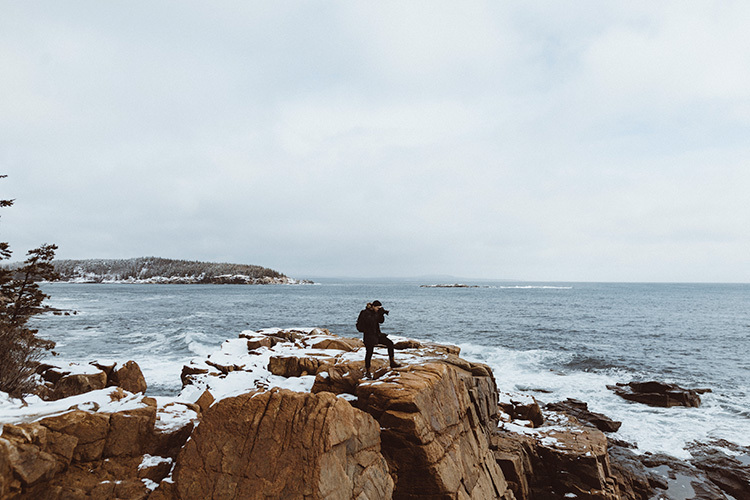 When Acadia National Park is covered in snow it becomes a winter wonderland for outdoor enthusiasts. Acadia National Park is an outstanding wilderness destination all year round, but in the winter it becomes even more spectacular. This park is among the most visited in the eastern half of the U.S., although during the winter it becomes all-but deserted. This also means that the popular Gorham Mountain Trail will likely be empty too, allowing hikers unfettered access to its 525-foot summit. The route is fairly easy during the summer months, but the addition of snow and ice does raise the level of challenge to a degree in winter. 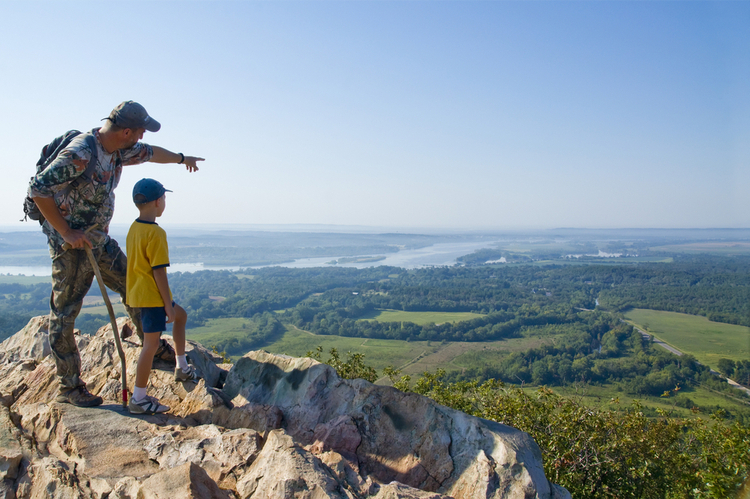 However, those who brave the trail will be treated to breathtaking views from the top and can choose to complete the four-mile roundtrip journey by descending the same way they came up or by completing the loop back to the trailhead. Bonus: This winter hike includes some great views of the ocean on the way to the summit. 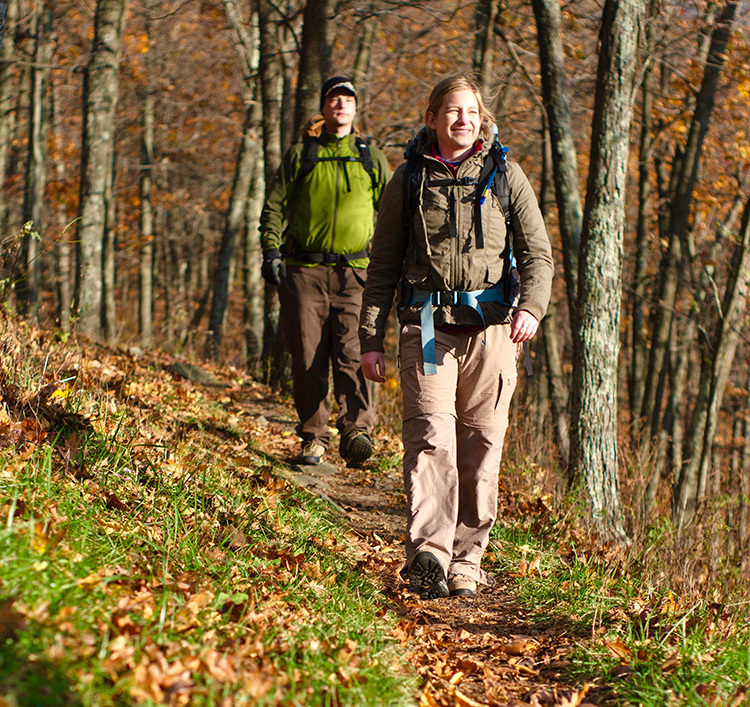 Quick Tip: If you want to stay warm on a winter hike, use a proper layering system to stay warm and dry on the trail. With base layers close to the skin, an insulating layer for warmth, and a shell for protection from wind and snow, you’ll be set to take on anything. Shenandoah’s Blue Ridge Mountains are a good place to give winter hiking a try and deep snow is usually not a factor. If you’re looking to dip your toe into the winter-hiking pond, then Shenandoah National Park is a great place to get started. Winters tend to be a bit milder here and while the snow will certainly fly, it generally doesn’t get to be too deep. For a brisk winter hike, try taking on the Cedar Run Circuit. This 7.3-mile hike will take you past eight individual waterfalls as you trek deep into the thick forest of the Blue Ridge Mountains. This walk can be a strenuous one at any time of the year. Add in a bit of snow and the challenge increases accordingly. Just be sure to allow yourself plenty of time to wander this scenic route as there are plenty of wonderful views to take in along the way. Bonus: The Cedar Run Circuit is actually made up of several individual trails, allowing you to take an abbreviated route if you find yourself short on time. If you’re looking for a winter hike with plenty of deep snow, head to Voyagers National Park, where the winters are long but beautiful. 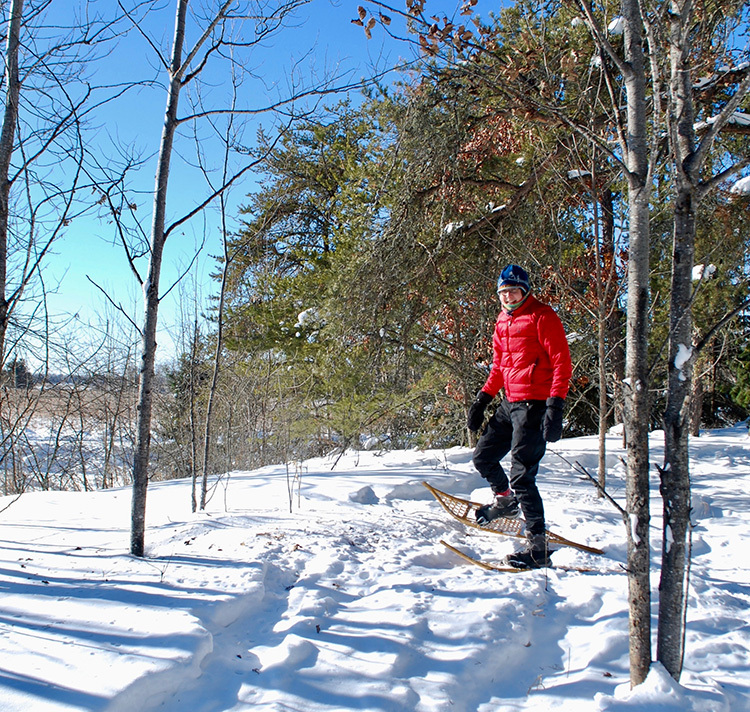 During the summer, Voyageurs National Park is an outstanding summer playground for canoeing and kayaking, but in the winter, it transforms into a winter wonderland for hikers, snowshoers, and skiers. One of the best routes to take is the Blind Ash Bay Trail, which consists of a 2.5-mile loop of moderate difficulty. The route will take you through a rich boreal forest while offering nice views of nearby Lake Superior along the way. It crosses through some rolling hills to help get the blood pumping, but overall the elevation gain is minimal. This is a route that will most likely require snowshoes during the heart of winter, but it is very accessible for those that are new to the sport. Bonus: If you’re visiting Voyageurs National Park and you don’t own snowshoes, drop by the Rainy Lake Visitor Center to pick up a pair you can use for free. Quick Tip: Most state and national parks are open during the winter, even if their facilities are closed for the season. Check the park’s official website to for specific information on winter access. 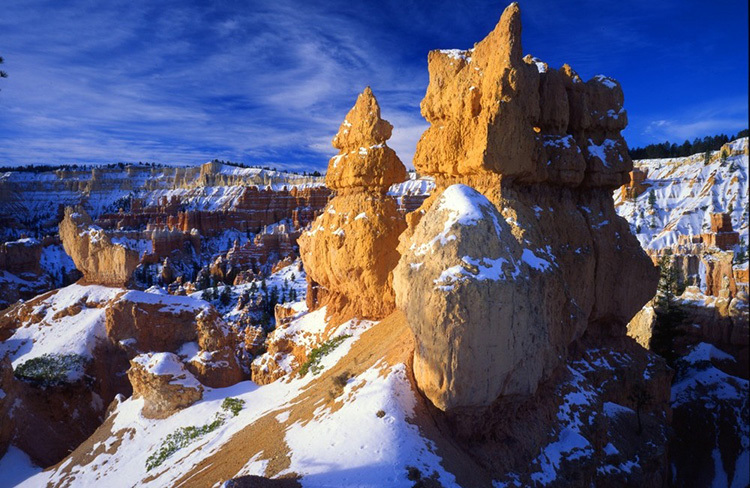 During the winter, Bryce Canyon’s already dramatic landscapes become even more spectacular. Utah is a veritable paradise for those who love winter, offering some of the best skiing, snowboarding, and snowmobiling found anywhere in the country. The Beehive State also has plenty of winter trails to explore as well, with the Fairyland Loop in Bryce Canyon National Park ranking among the very best. This 8-mile, out-and-back route takes trekkers on a journey that wanders past some of the largest and most unique hoodoo rock formations that Bryce has to offer. The trail is well marked and easy to follow, even with snow on the ground. 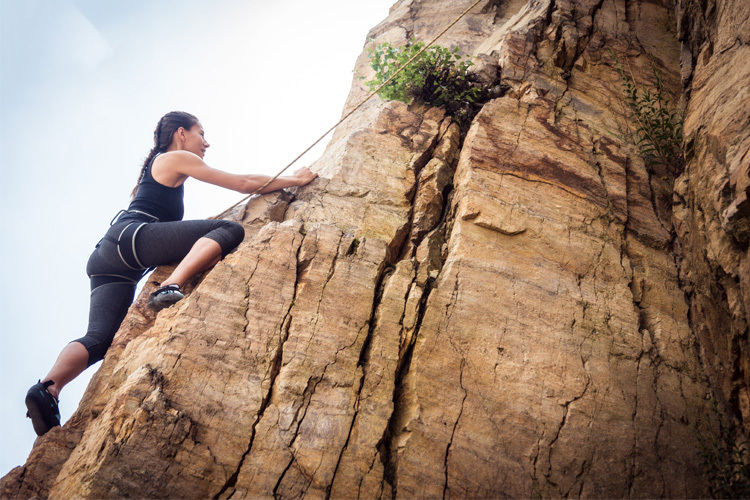 In fact, the biggest challenge that hikers will face is the 950 feet of climbing and descending they’ll encounter while entering or leaving the canyon itself. 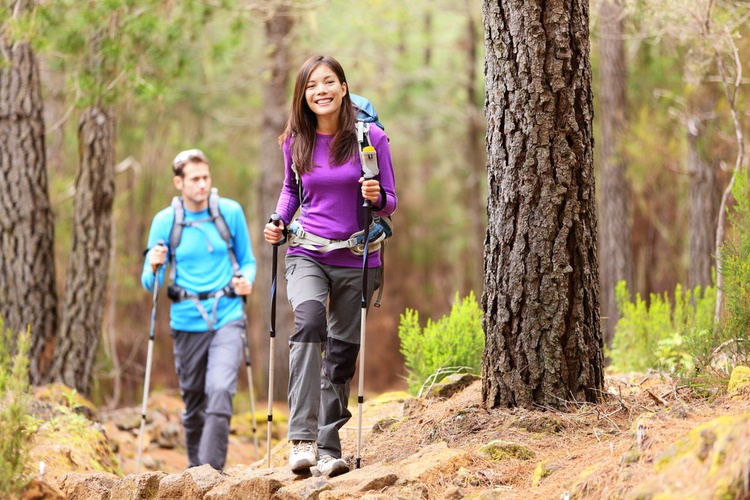 Wear snowshoes or trail spikes to help keep your footing on the sometimes-slick trail. Bonus: A short extension from the Fairyland Loop Trail takes hikers out to Bryce’s famous Tower Bridge, too. 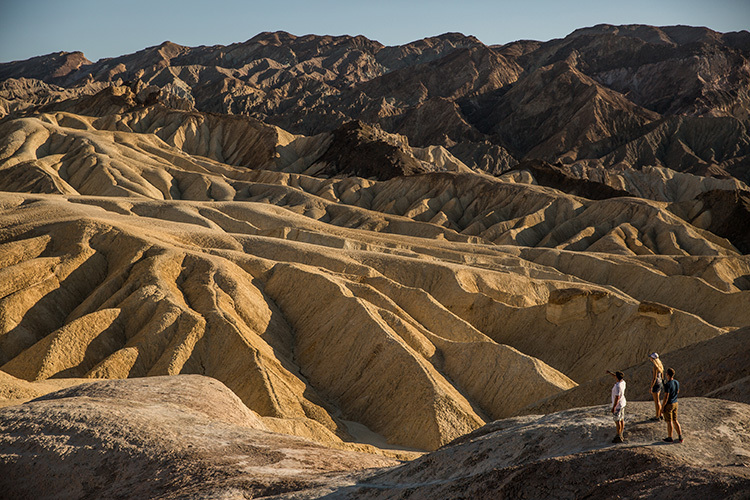 Winter hiking can make a place like Death Valley much more approachable and accommodating. Not every winter hike is about trudging through the snow. Some are all about taking advantage of the cooler weather to access a place that might be too hot to hike during the summer months. Such is the case with Desolation Canyon in Death Valley National Park, where temperatures routinely soar well above 100ºF in the warmer months. Stretching 3.6 miles in length, and featuring 600 feet of elevation gain, this is a moderately strenuous hike even in cooler weather. The payoff, however, is an amazing walk through a series of interconnecting canyons that offer views of colorful rock walls and unique geological features. At the end of the route hikers are rewarded with sweeping views of Death Valley below, offering a stunning end to a great walk. Bonus: If Desolation Canyon looks a little familiar, it may be because George Lucas shot some scenes there for the original Star Wars film.